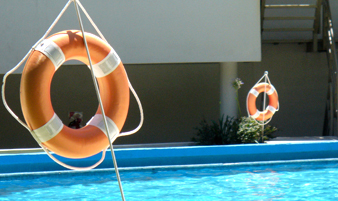 Pool safety inspections pool safety certificates issued by licensed pool safety inspector. 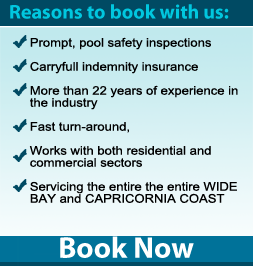 Servicing the the entire WIDE BAY and CAPRICORNIA COAST. For reports in Agnes Water, Bargara, Bundaberg, Elliot heads, Innes Park, Childers, Gayndah, Gin Gin, Gladstone, Hervey Bay, Maryborough, Tin Can Bay, Miriam Vale, Monto, Rules Beach, Tannum Sands, Boyne Island, Calliope, Rockhampton, Mackay, Airlie Beach, and whitsunday islands. 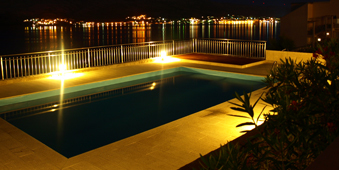 New Pool Safety Laws apply from 1st December 2010. New Pool Safety laws are being introduced in an effort to reduce the incidences of drowning and serious immersion injuries of young children. Copyright 2011, Pool Safety Inspections, All Right Reserved. Web Design & Web Development by Itag Media. Powered by Site Synergy.